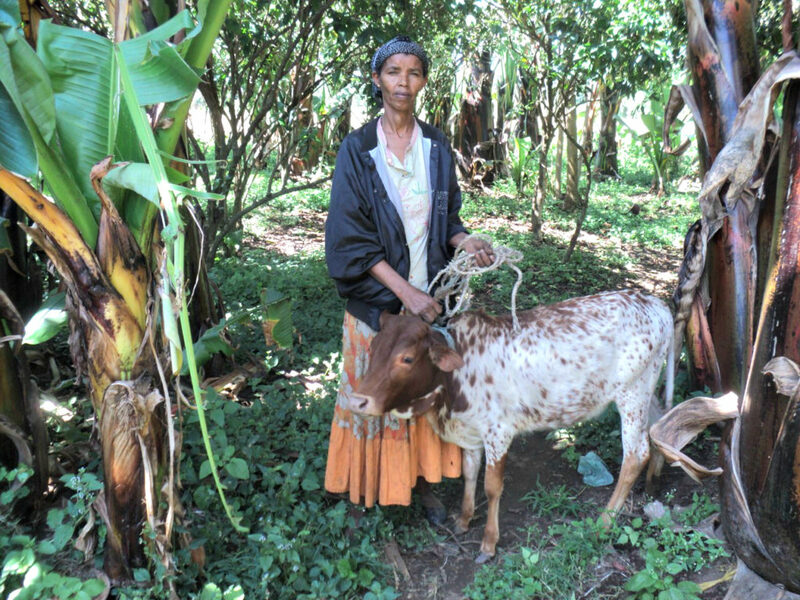 In rural Ethiopia, widowed mothers struggle to meet their children’s daily needs. Because of high rates of illiteracy and a lack of jobs, they have very few opportunities to find gainful employment. Inspired by James 1:27, our partner organization, FOVC, is working to change this in the village of Shanto. 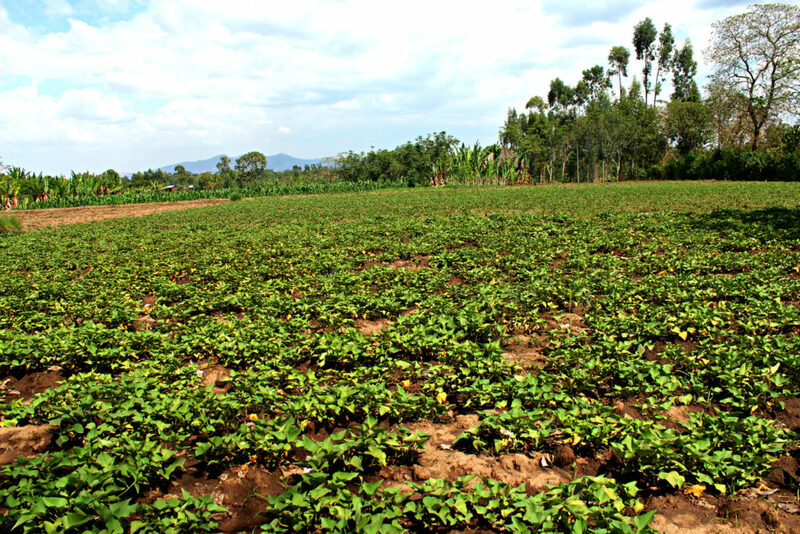 A beautiful field of sweet potatoes in Shanto. About a year ago we did some major fundraising for another phase of the Widow’s Hope Project, this time with a focus on crop farming. Thanks to a generous grant from a private foundation, and many individual donations, 71 widows received help in the form of agricultural training, improved seed, fertilizer, and farming tools. 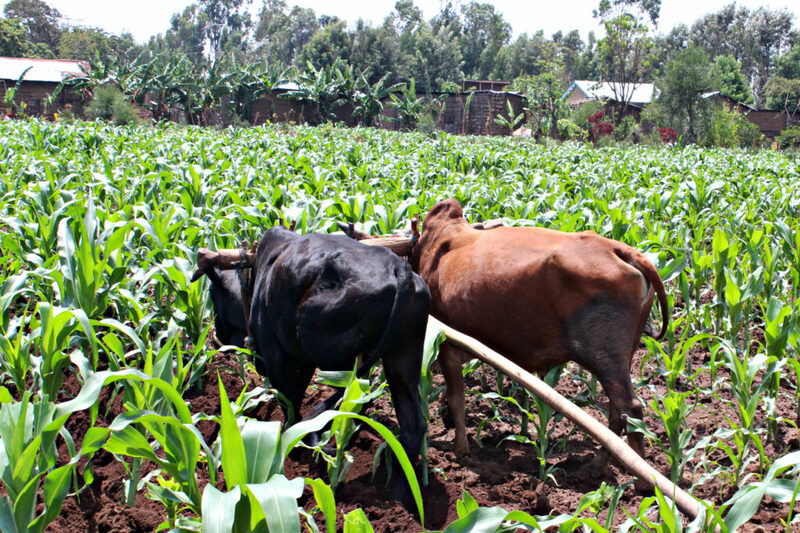 Crops are cultivated by hand or with oxen. The intention of the Widow’s Hope Projects is to create sustainable opportunities for widows to generate their own income. From the reports we’ve been receiving from FOVC, the program has been wildly successful. We’ve received many accounts of women who were previously unable to meet all their children’s needs. Their kids were malnourished and not attending school on a regular basis, because the supplies needed to keep them in school were too much of a luxury. 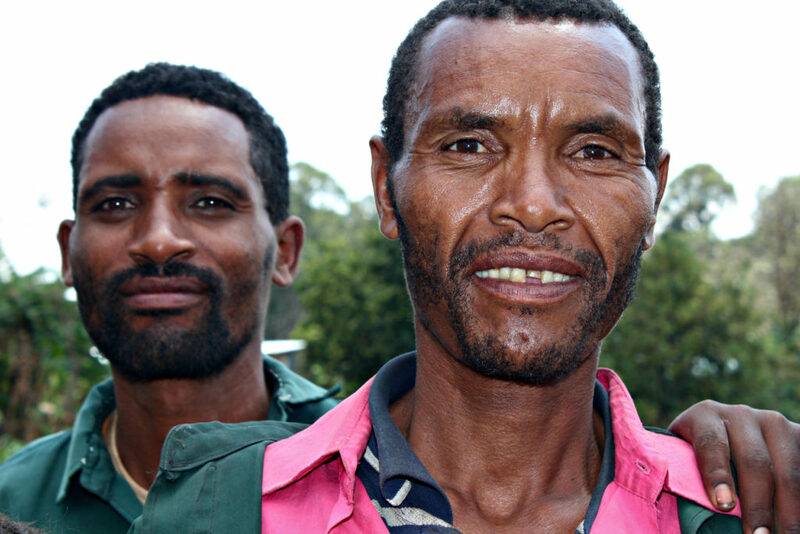 Neighbor men who own oxen have been helping the widows cultivate their fields. Nigiste is one of the women who has been empowered by this project. We visited her farm last March, where she proudly showed us her beautiful fields of corn and sweet potatoes. 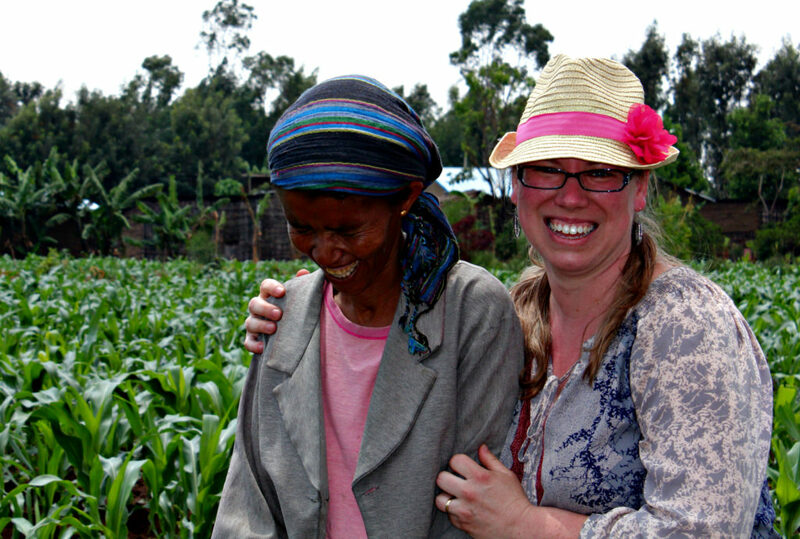 Nigiste in her corn field, March 2016, with PWE board member Renee Stauffer. Now, after harvesting her crops, Nigiste’s children are well-fed and in school, and she has earned enough income from the sale of the excess produce to purchase a cow! A cow will improve her children’s nutrition through nourishing milk, and earn more income as she sells the excess milk. Nigiste’s success story is one of many, and we are so proud of these women and thankful for all our donors who made this program possible. Nigiste with her new cow, November 2016. We are looking for monthly partners to help us sustain these types of income generating programs that empower vulnerable families. If you’re interested in becoming a monthly partner, please visit www.give2pwe.org to set up monthly recurring gifts. All gifts are tax deductible in the United States.